Look familiar? This is the palette that YOU voted on! Boss Lady is notorious for always changing her mind on shades, concepts, launch dates, you name it!! 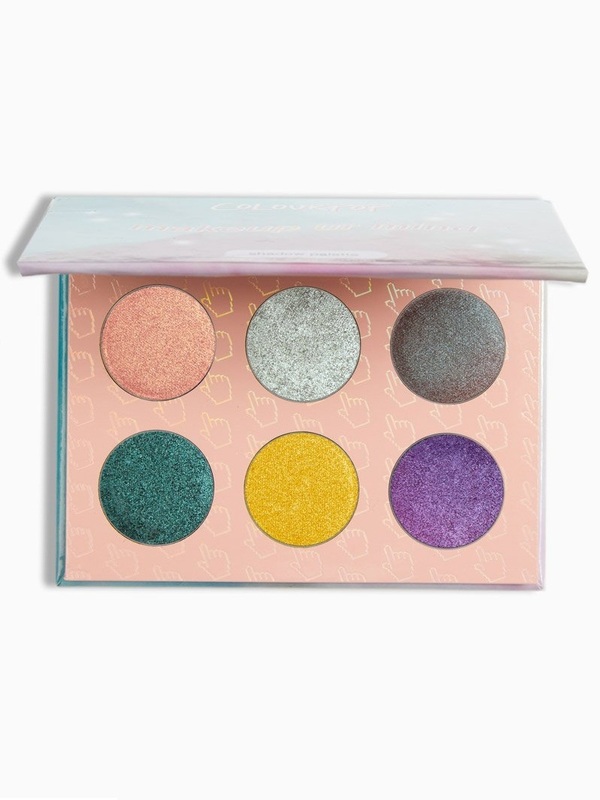 And she turned to YOU to create a palette that you wanted. 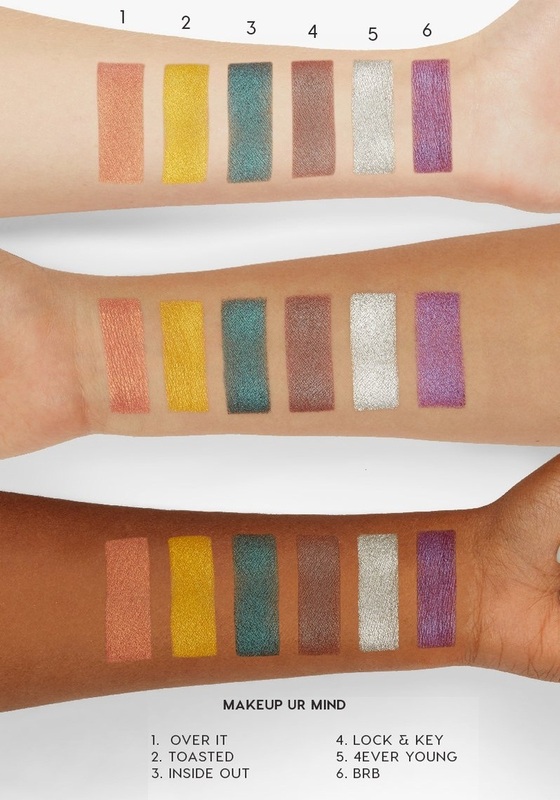 Rich jewel tones and unique metallic shades, they’re the shades that you love! Thanks for helping Boss Lady "make up her mind"! OVER IT: Dimethicone, Boron Nitride, Lauroyl Lysine, Magnesium Stearate, Dimethiconol, Phenoxyethanol, Talc, Caprylyl Glycol, Ethylhexylglycerin, Hexylene Glycol, Tin Oxide, Bismuth Oxychloride (CI 77163), Carmine (CI 75470), Iron Oxides (CI 77491), Mica (CI 77019), Red 40 Lake (CI 16035), Titanium Dioxide (CI 77891). TOASTED: Dimethicone, Boron Nitride, Silica, Lauroyl Lysine, Magnesium Stearate, Dimethiconol, Phenoxyethanol, Talc, Caprylyl Glycol, Ethylhexylglycerin, Hexylene Glycol, Aluminum Powder (CI 77000), Bismuth Oxychloride (CI 77163), Bronze Powder (CI 77400). INSIDE OUT: Boron Nitride, Dimethicone, Lauroyl Lysine, Caprylic/Capric Triglyceride, Magnesium Stearate, Silica, Phenoxyethanol, Talc, Caprylyl Glycol, Dimethiconol, Ethylhexylglycerin, Hexylene Glycol, Bismuth Oxychloride (CI 77163), Iron Oxides (CI 77491, CI 77499), Mica (CI 77019), Titanium Dioxide (CI 77891). LOCK & KEY: Dimethicone, Silica, Boron Nitride, Lauroyl Lysine, Magnesium Stearate, Dimethiconol, Phenoxyethanol, Hydrogenated Polyisobutene, Talc, Caprylyl Glycol, Ethylhexylglycerin, Hexylene Glycol, Palmitic Acid, Bismuth Oxychloride (CI 77163), Blue 1 Lake (CI 42090), Chromium Oxide Greens (CI 77288), Iron Oxides (CI 77491, CI 77499), Mica (CI 77019), Titanium Dioxide (CI 77891). 4EVER YOUNG: Dimethicone, Boron Nitride, Silica, Lauroyl Lysine, Magnesium Stearate, Hydrogenated Polyisobutene, Dimethiconol, Phenoxyethanol, Talc, Caprylyl Glycol, Palmitic Acid, Tin Oxide, Ethylhexylglycerin, Hexylene Glycol, Bismuth Oxychloride (CI 77163), Iron Oxides (CI 77491), Mica (CI 77019), Titanium Dioxide (CI 77891), Yellow 5 Lake (CI 19140). BRB: Zinc Stearate, Calcium Sodium Borosilicate, Lauryl Laurate, Ethylhexyl Palmitate, Polyethylene, Synthetic Fluorphlogopite, Tridecyl Trimellitate, Hydrogenated Polyisobutene, Cocos Nucifera (Coconut) Oil, Mineral Oil, Silica, Phenoxyethanol, Caprylyl Glycol, Ethylhexylglycerin, Hexylene Glycol, Tin Oxide, Bismuth Oxychloride (CI 77163), Chromium Oxide Greens (CI 77288), Carmine (CI 75470), Iron Oxides (CI 77491, CI 77499), Mica (CI 77019), Titanium Dioxide (CI 77891).